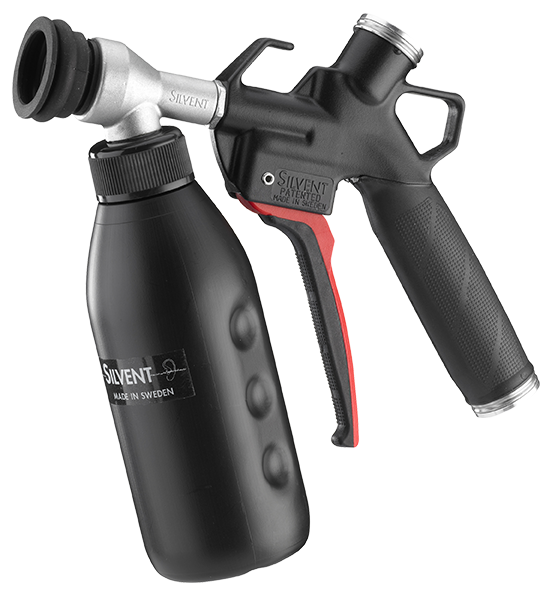 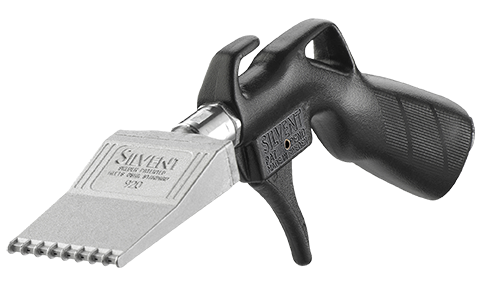 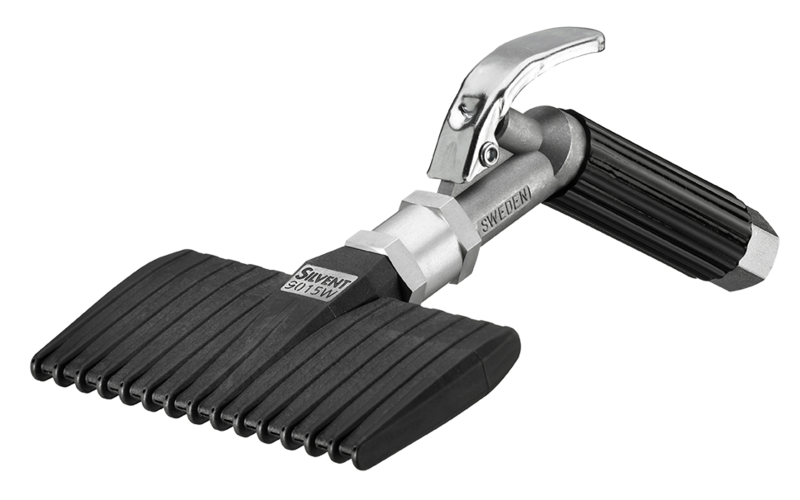 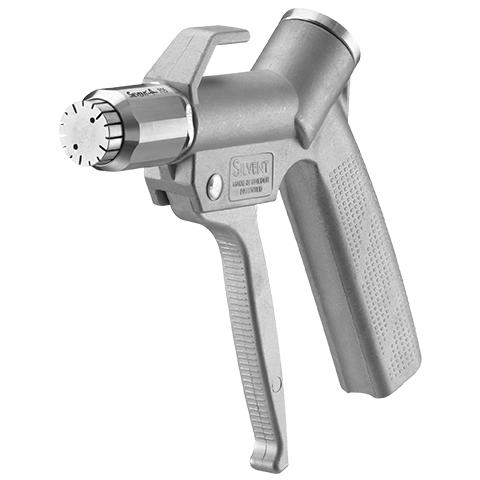 SILVENT 007-P: with a PEEK nozzle that prevents unnecessary scratching. 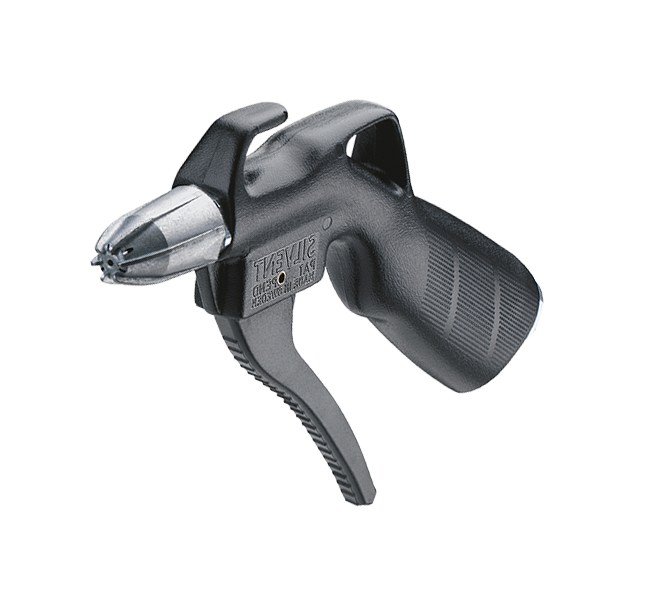 The PEEK nozzle has been specially developed for sensitive applications where expensive tools and machines absolutely may not be damaged. 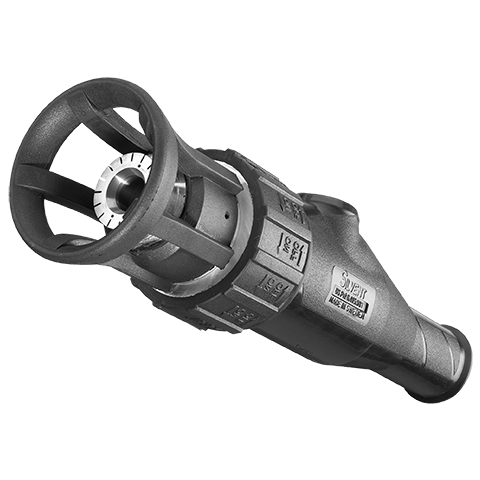 The nozzle is fitted on a flexible PA 12 pipe that provides additional protection against scratches caused by mechanical impact. 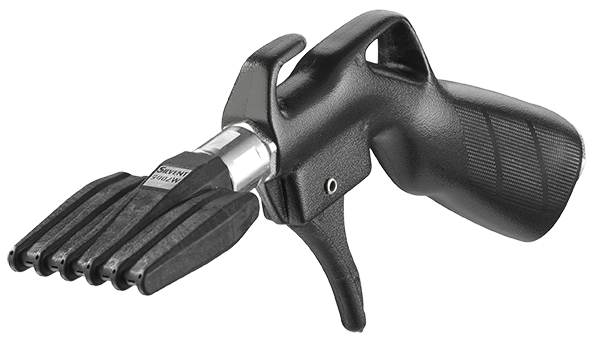 PEEK is a unique plastic material with properties that meet the rigorous quality and safety requirements of, for example, the aerospace industry. 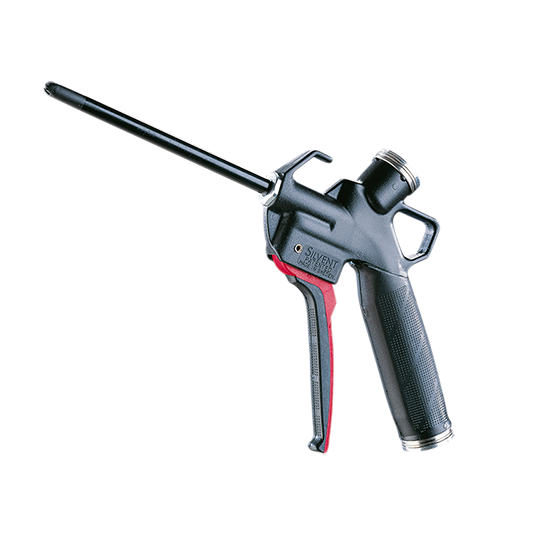 It is extremely impact resistant and is capable of handling aggressive chemical environments, strong cutting fluids and temperatures of up to 260°C (500°F). 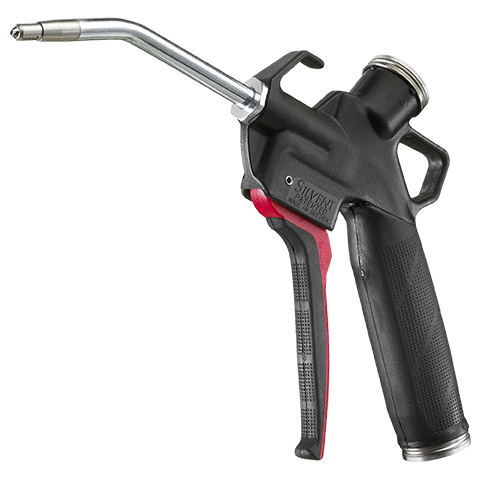 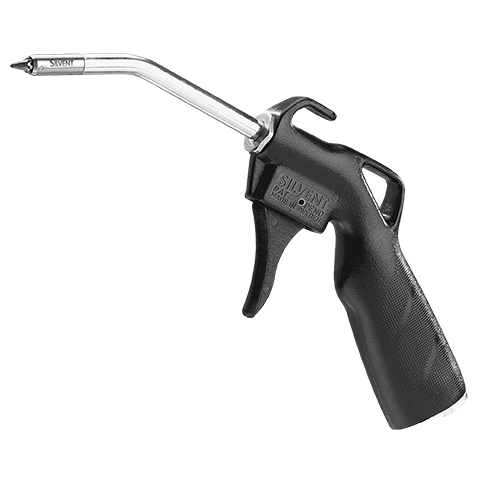 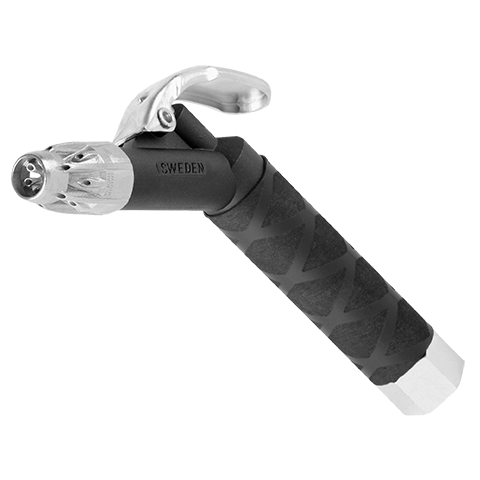 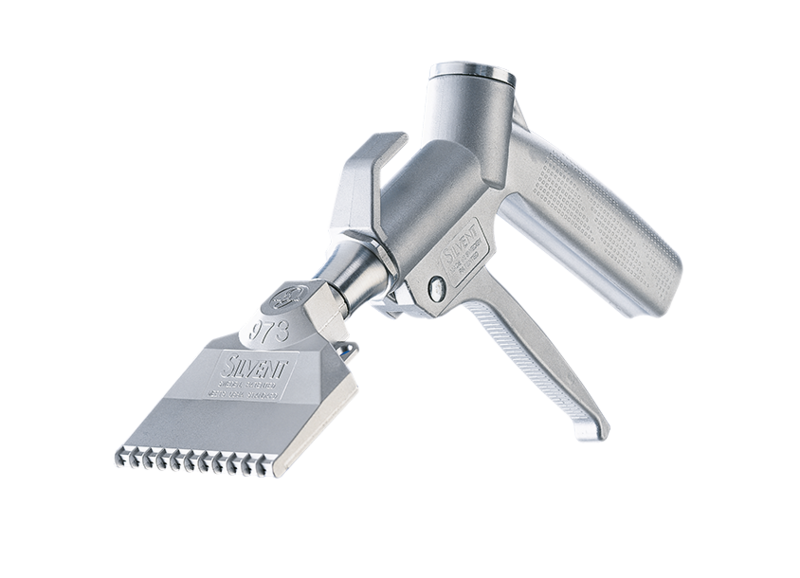 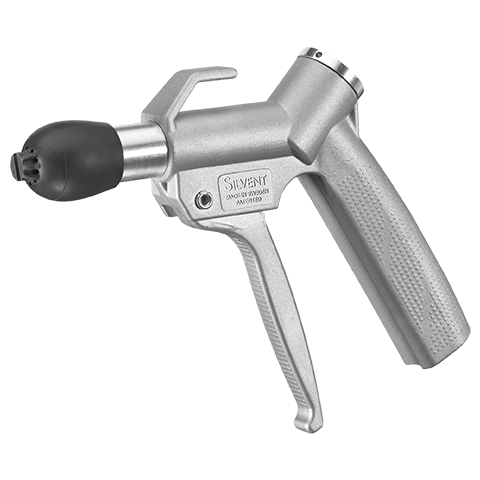 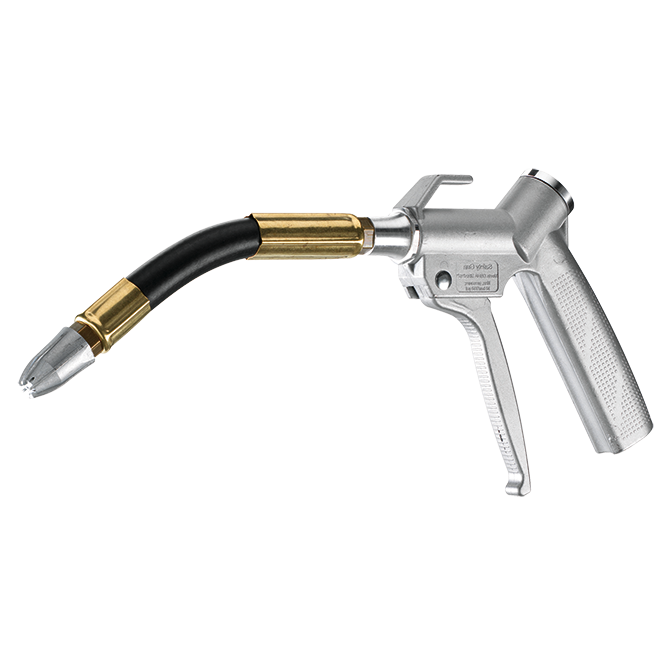 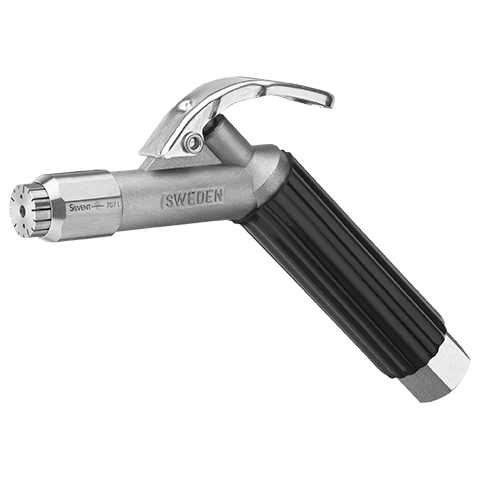 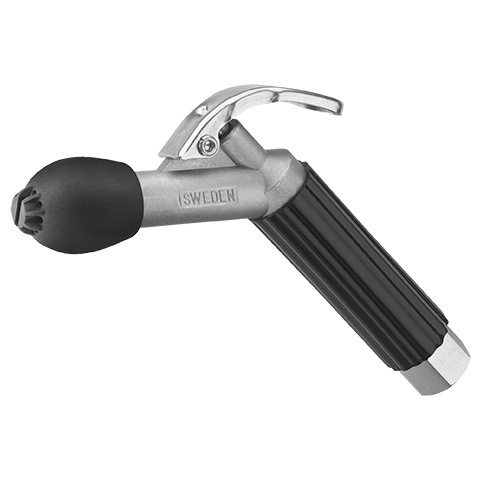 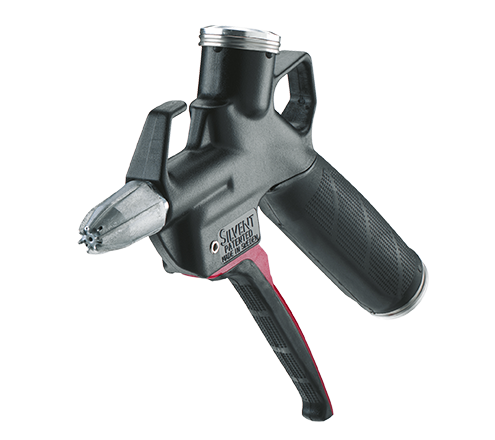 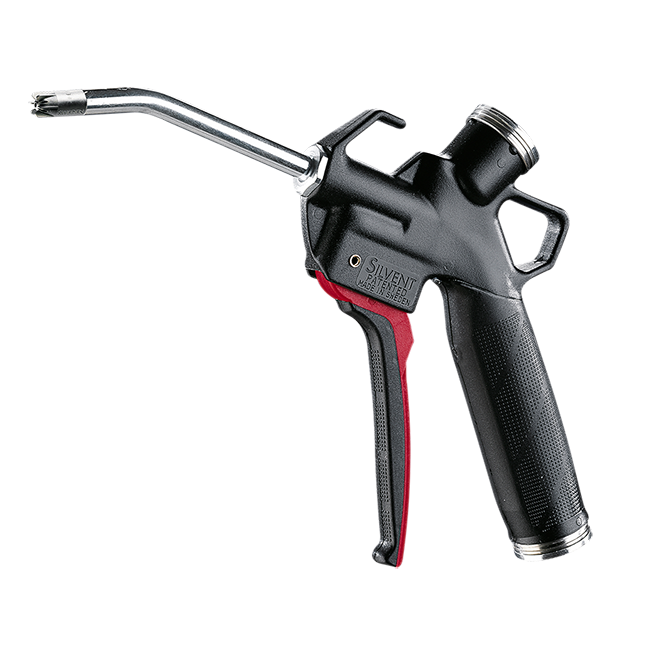 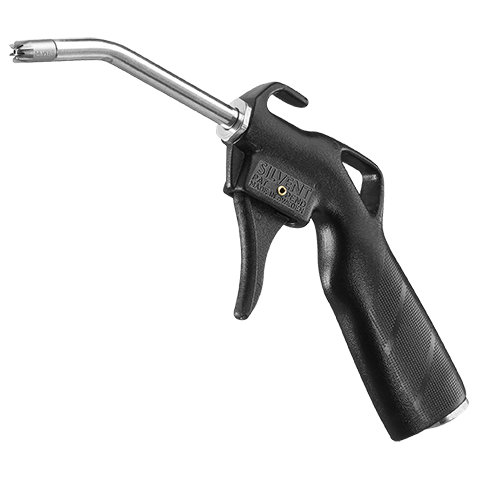 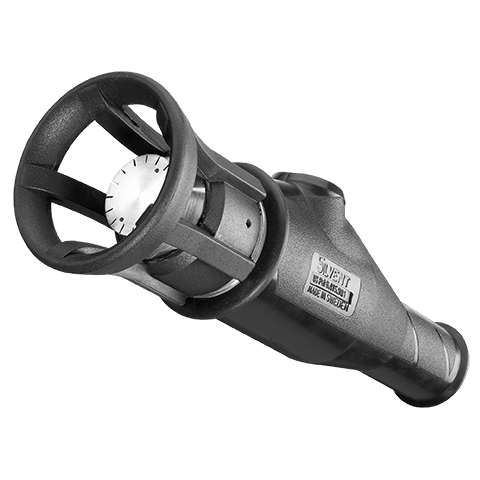 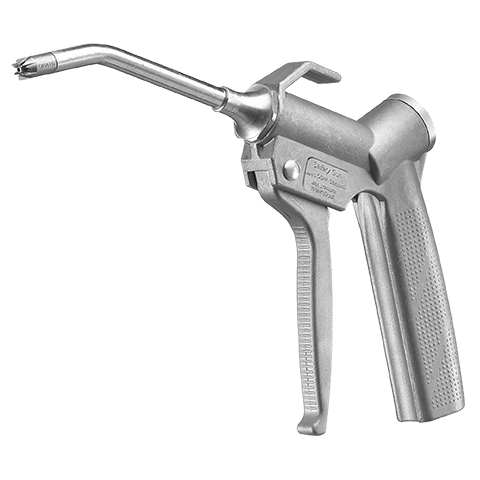 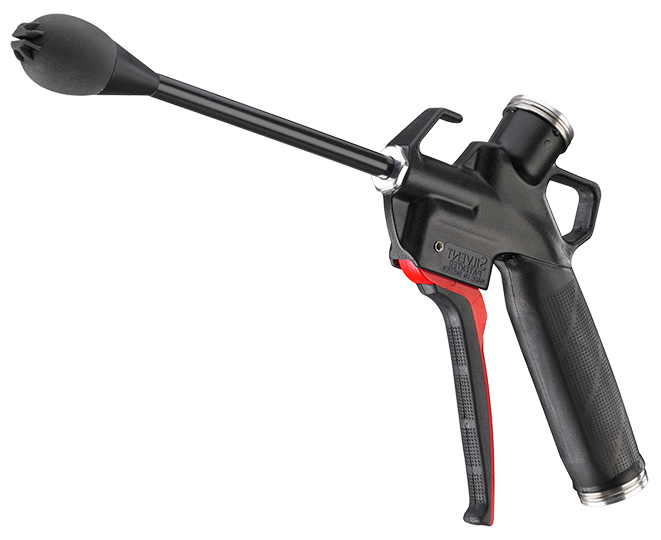 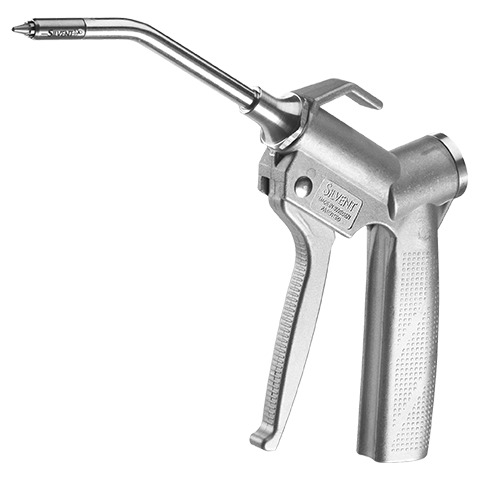 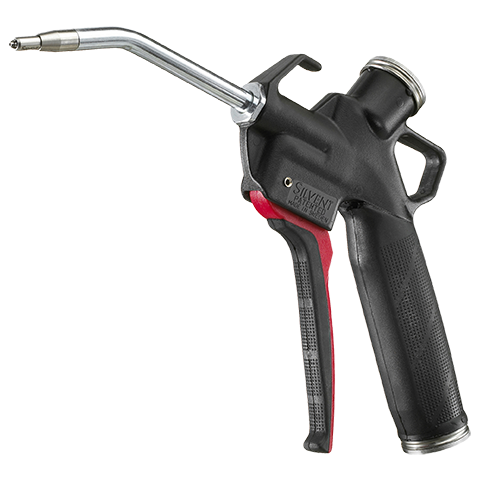 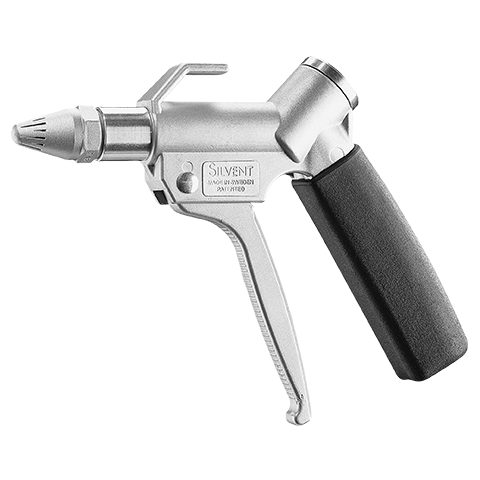 The nozzle is designed with a central hole that generates a concentrated air stream. 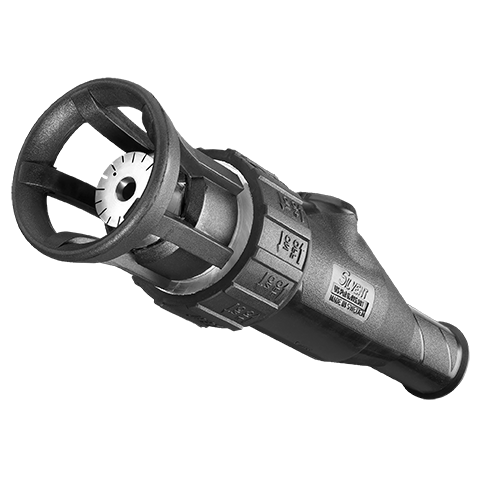 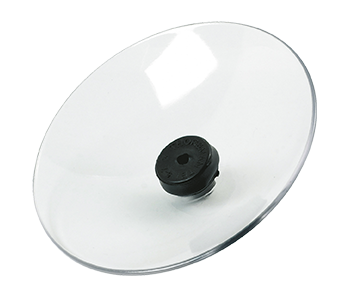 At the same time, the sound level is low and air consumption is reduced. 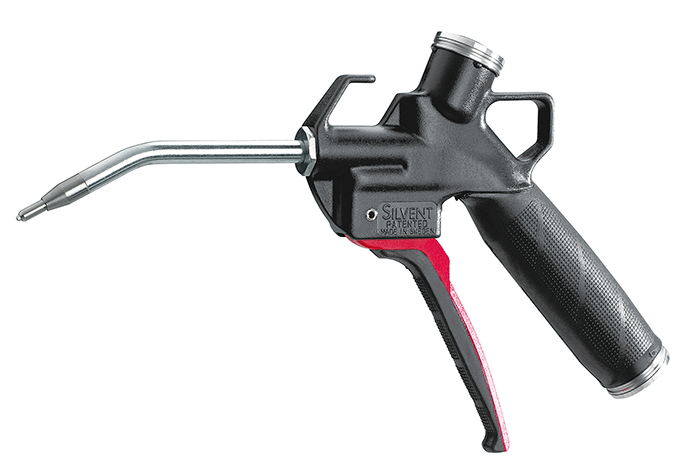 The PEEK guns are available with three different extension pipe lengths. 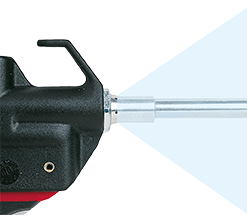 PEEK guns are available with three different extension pipe lengths. 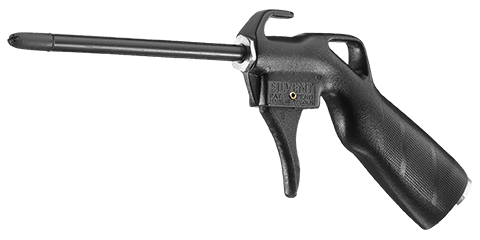 When ordering safety guns with longer pipes than standard, specify the length last in the order number. 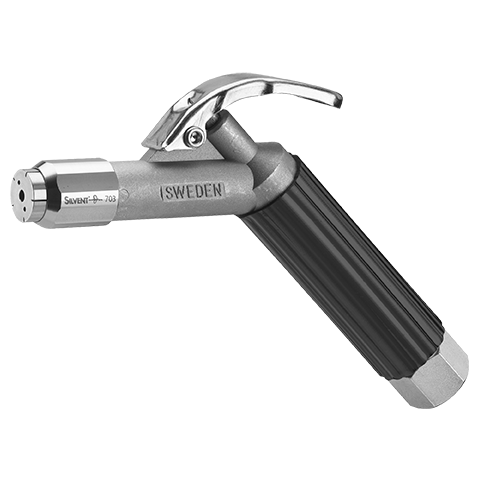 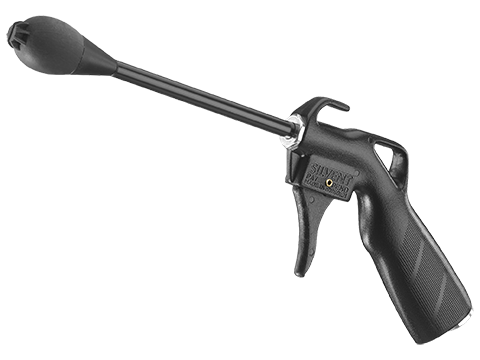 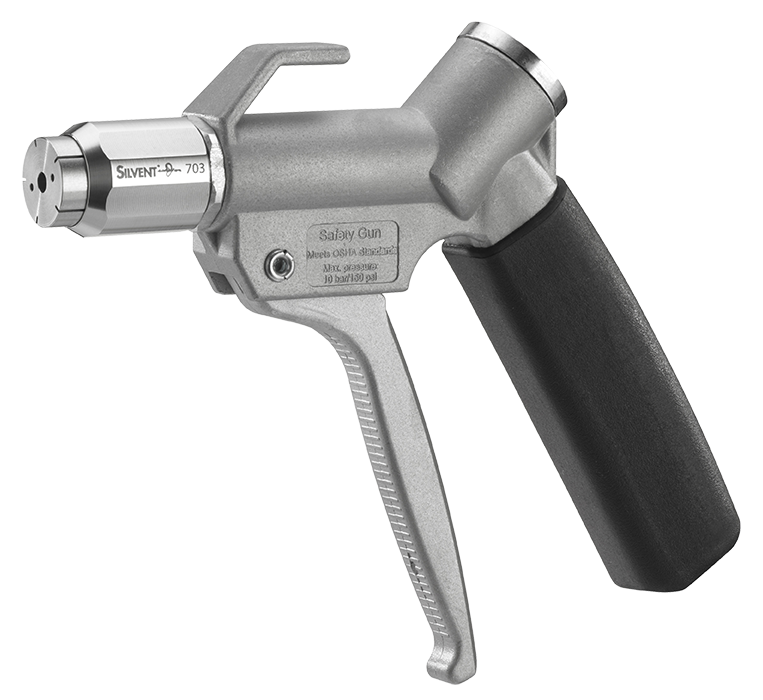 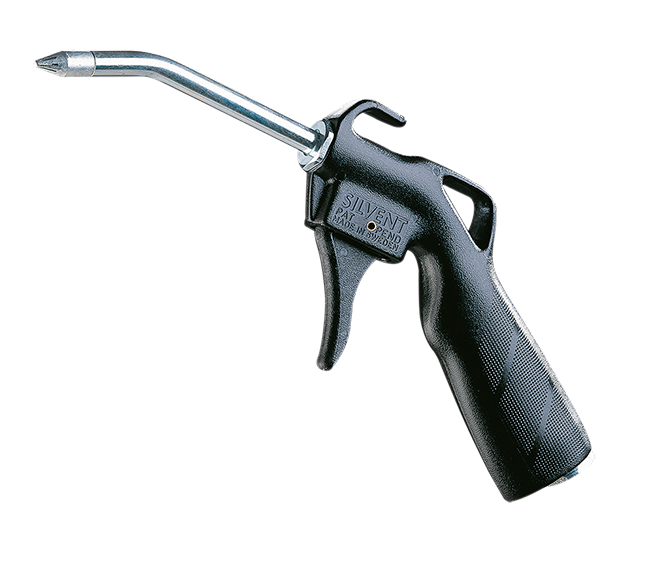 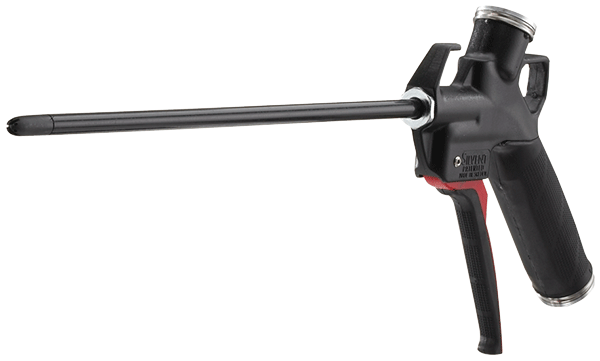 Safety gun-extension pipe length, e.g 007-P-250.